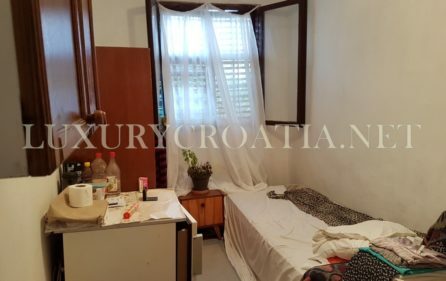 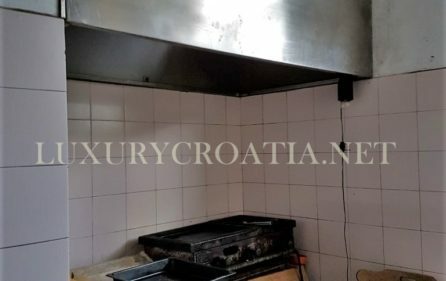 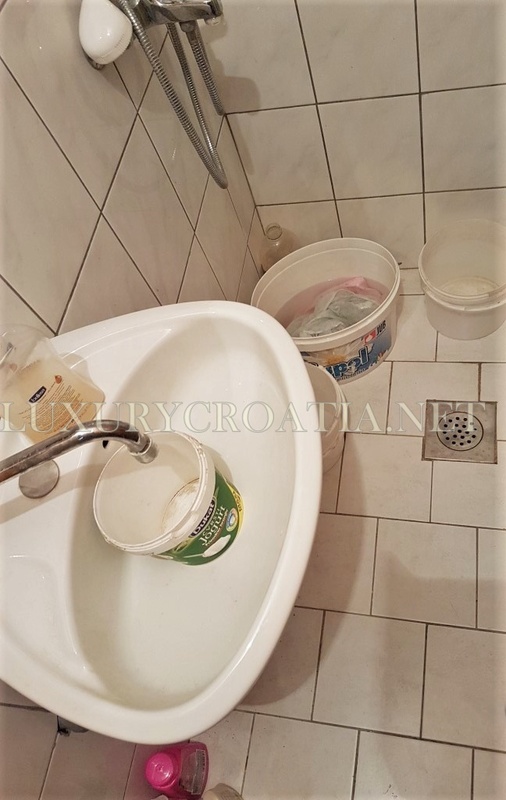 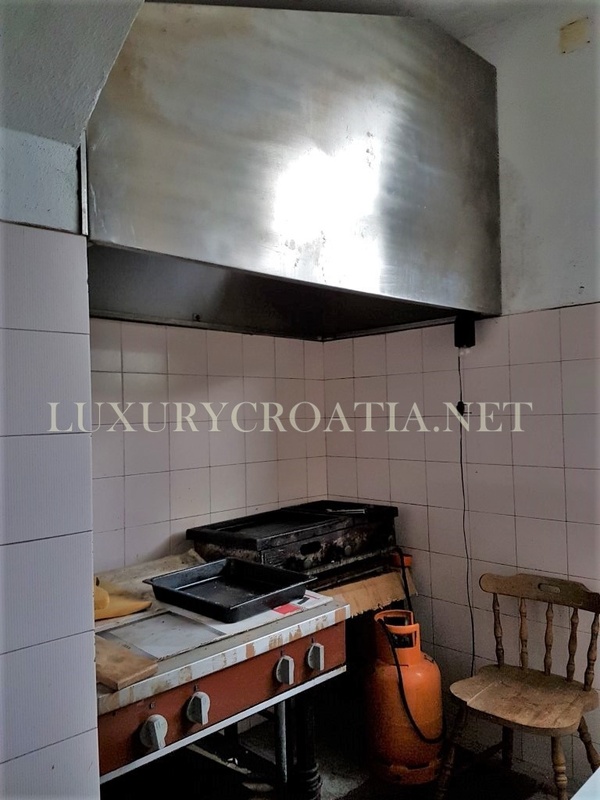 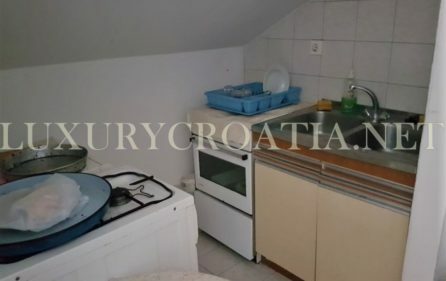 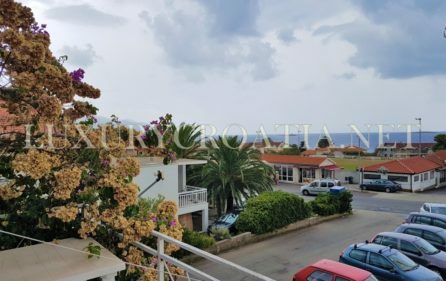 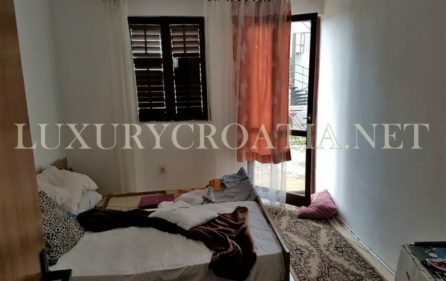 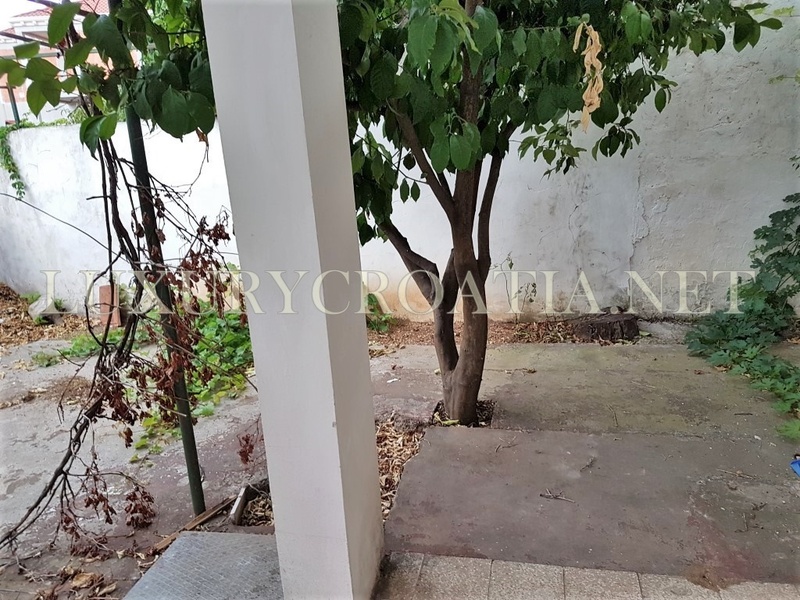 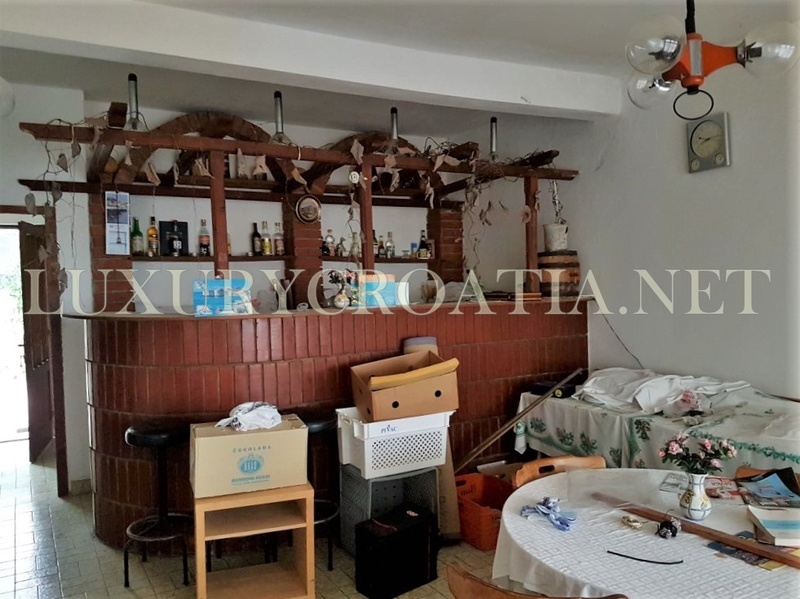 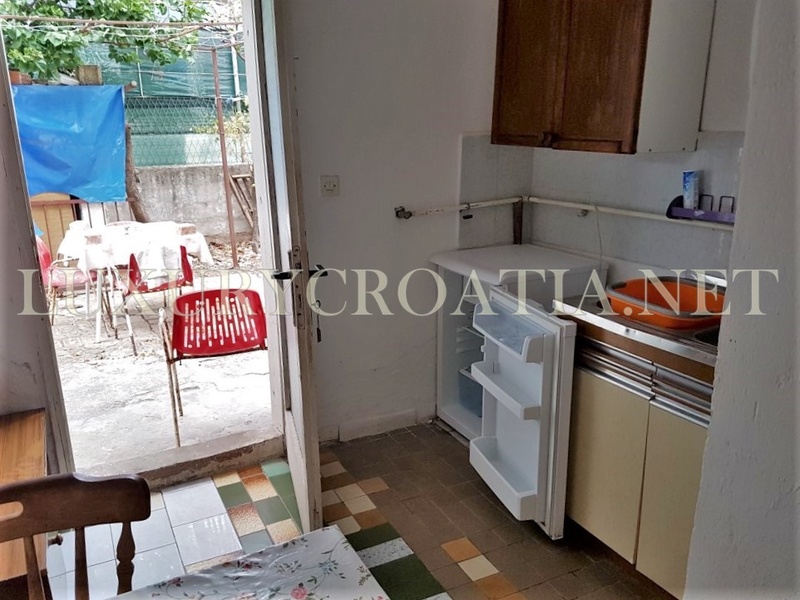 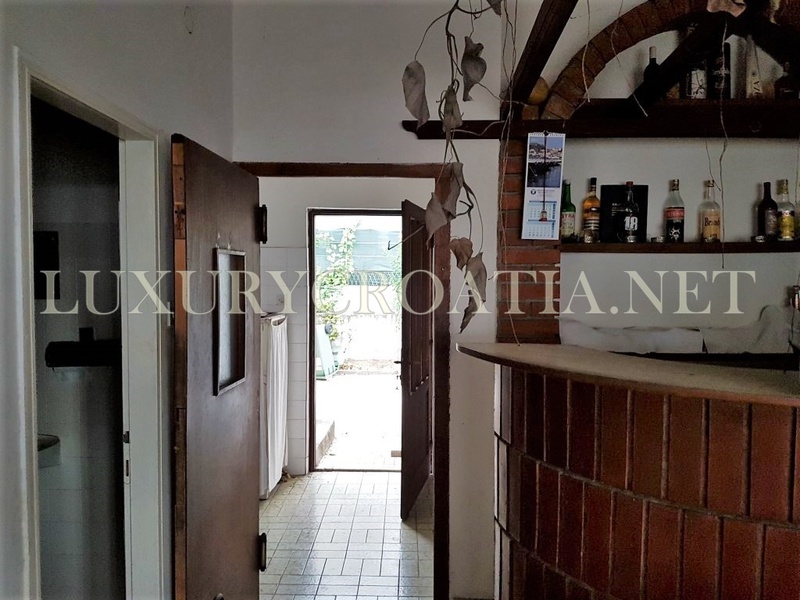 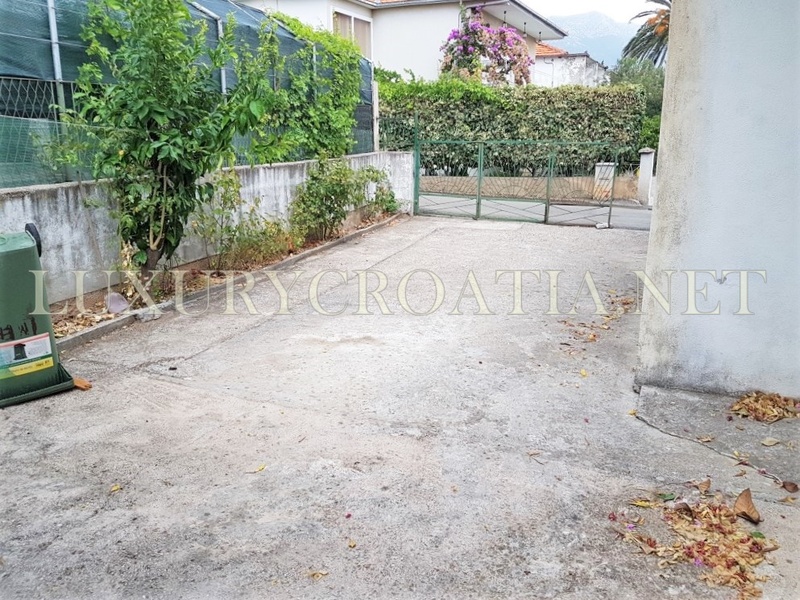 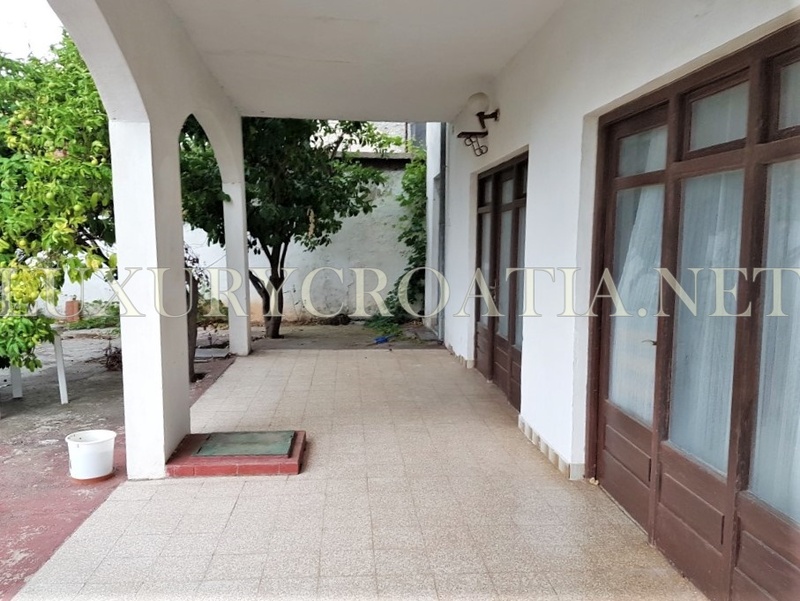 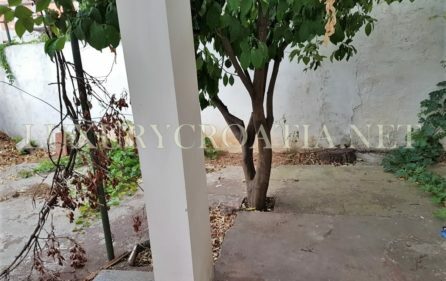 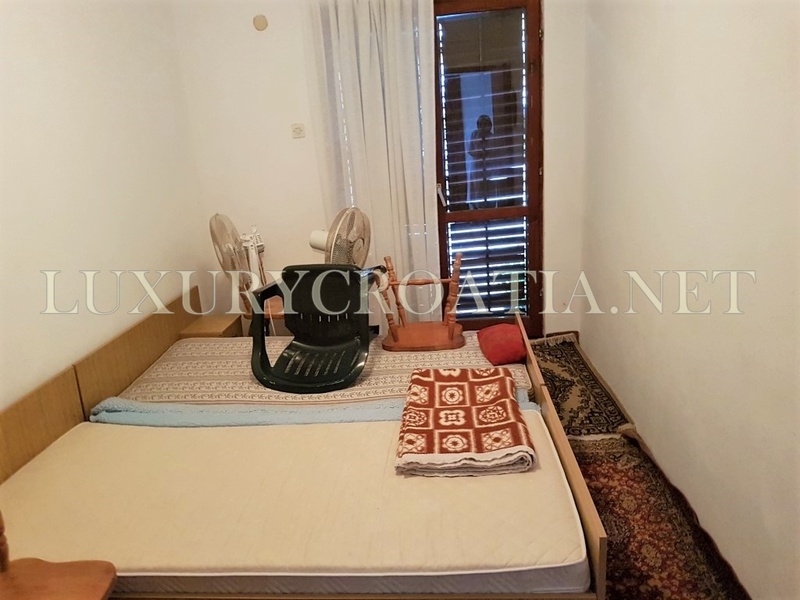 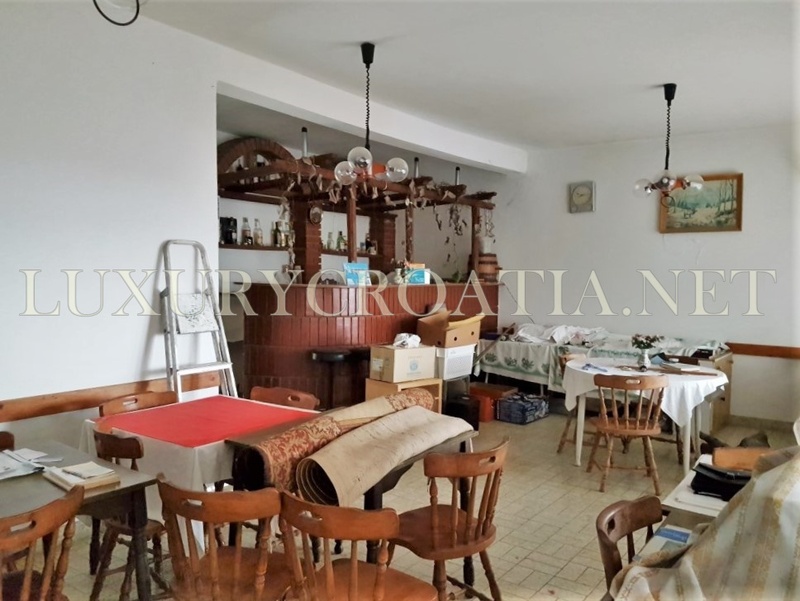 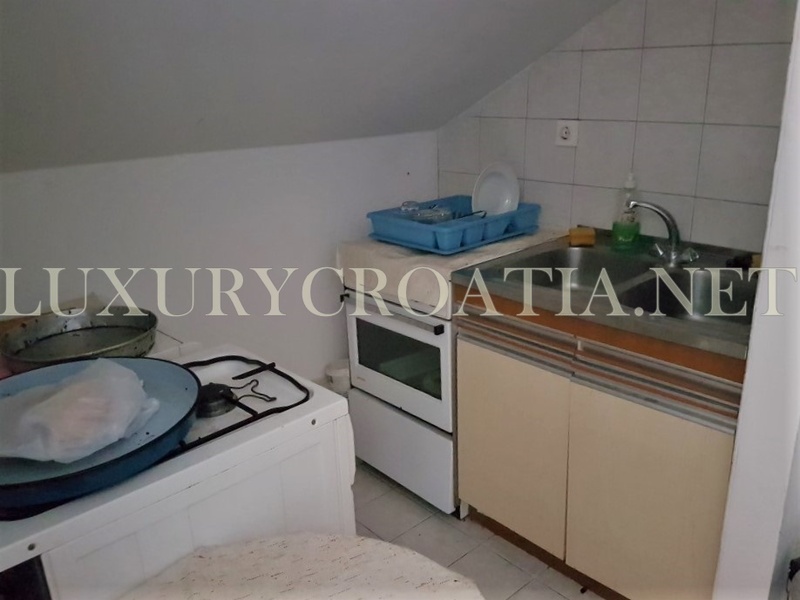 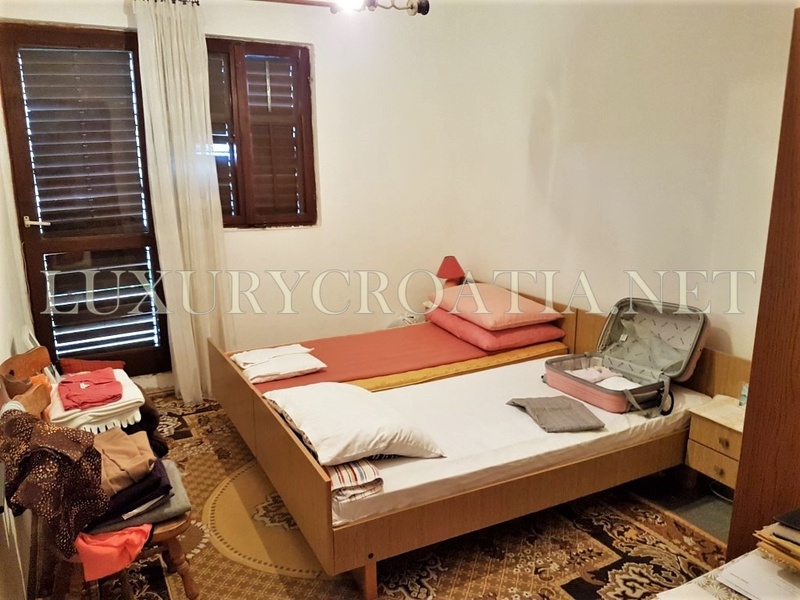 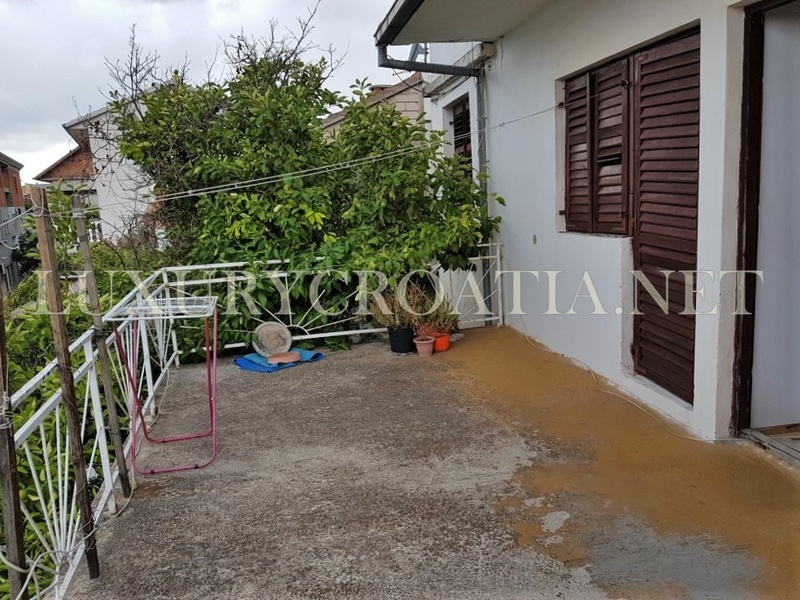 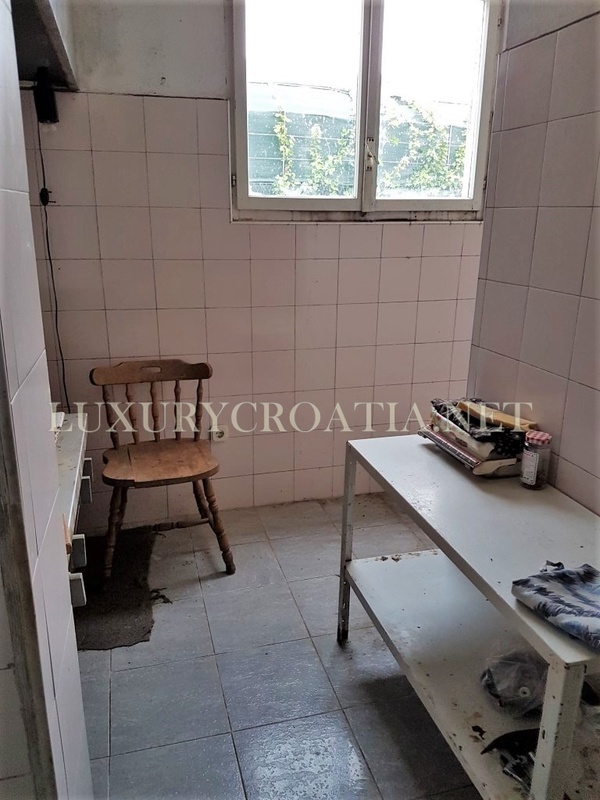 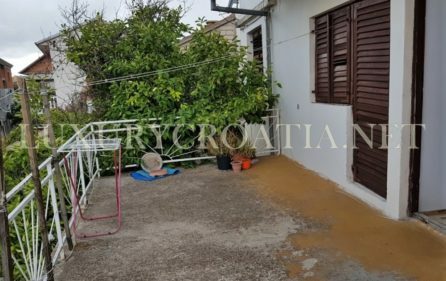 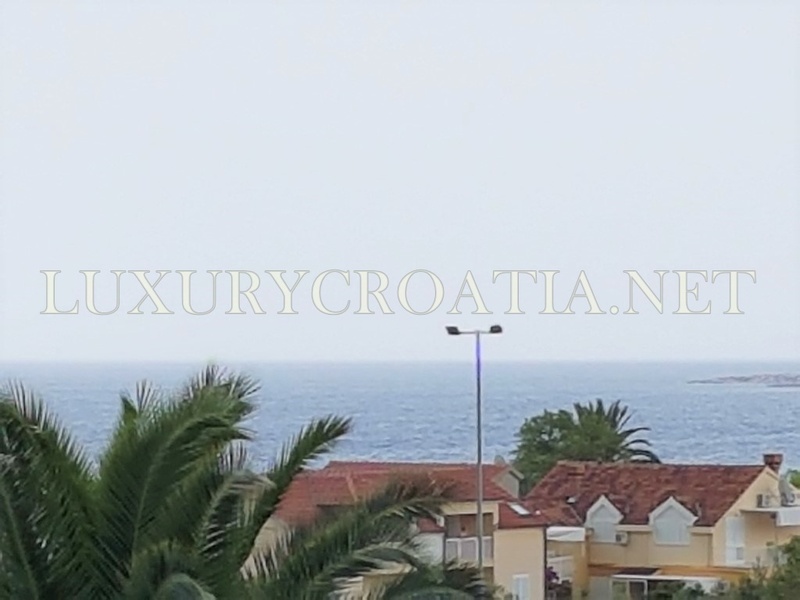 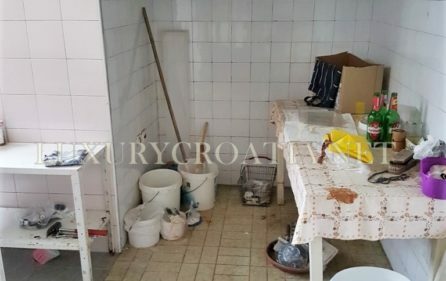 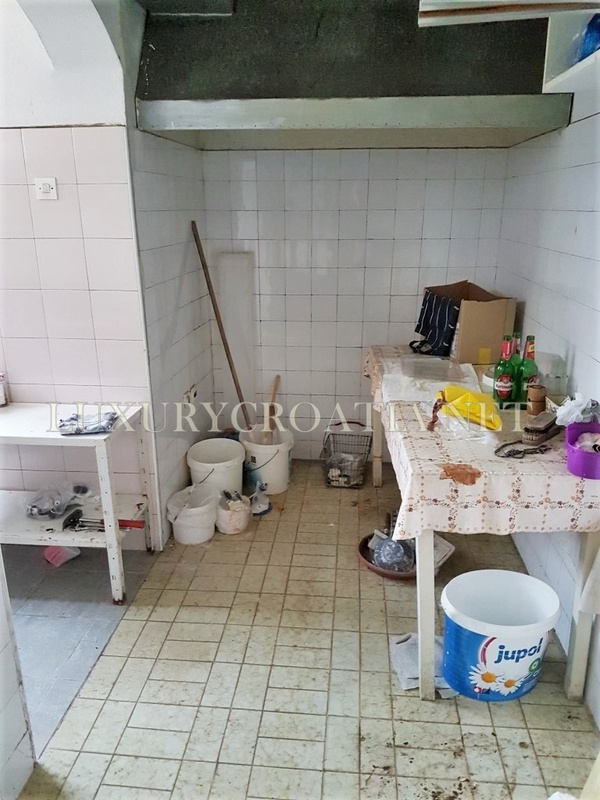 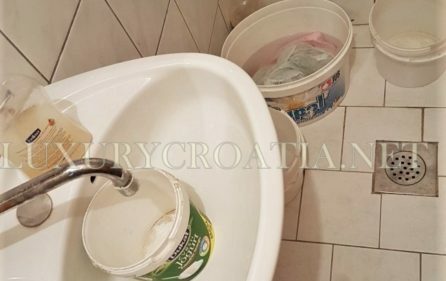 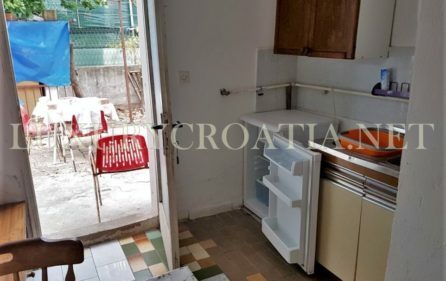 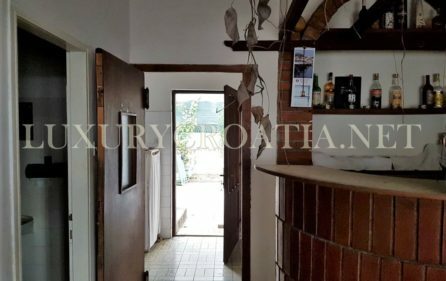 This large house with the restaurant for sale Orebic is located in the heart of the Orebic town, with parking for 3-4 cars on the back yard. 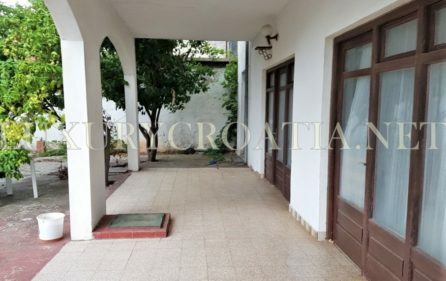 House has 3 floors. 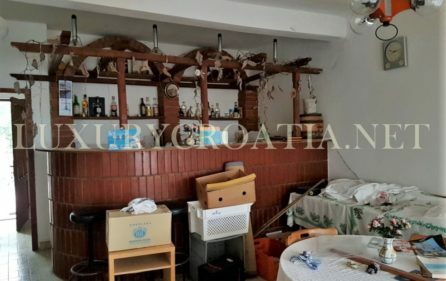 The ground floor has a large open space that was used as a restaurant with a bar. 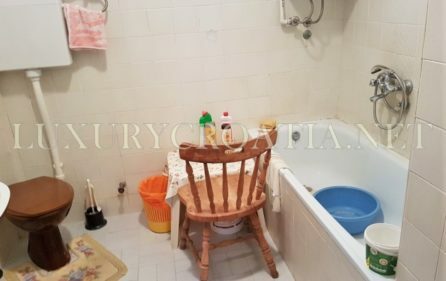 There is a restaurant kitchen on the back side, with the toilet. 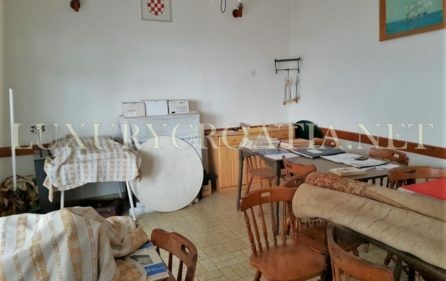 Aside there are a lot of storage rooms. 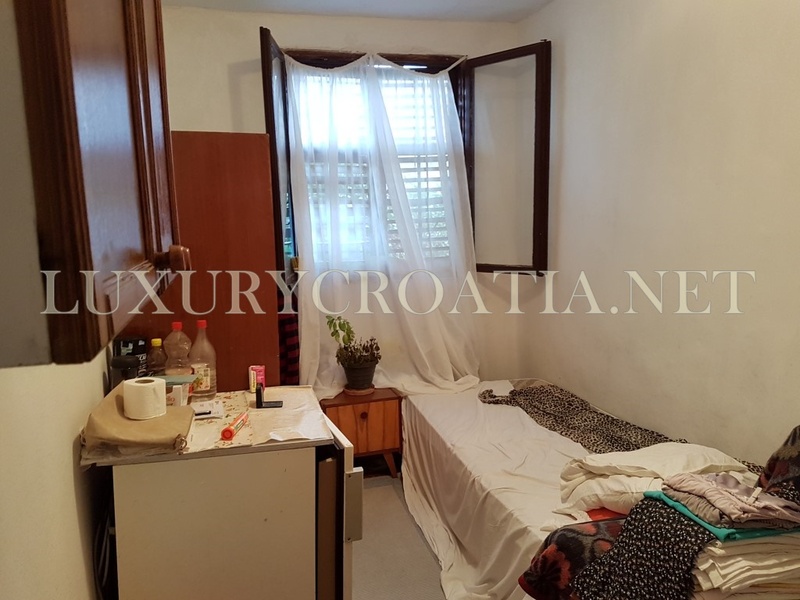 On the back side, there is a separated studio apartment next to the restaurant, with its own separate entrance from the parking side. 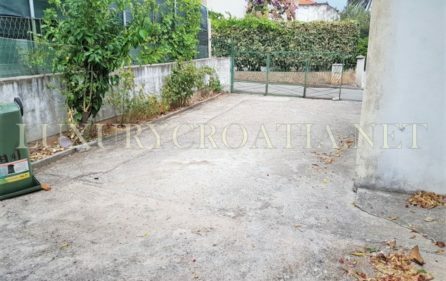 On the front side which faces south, there is a large terrace partly covered, that is about 100 m2. 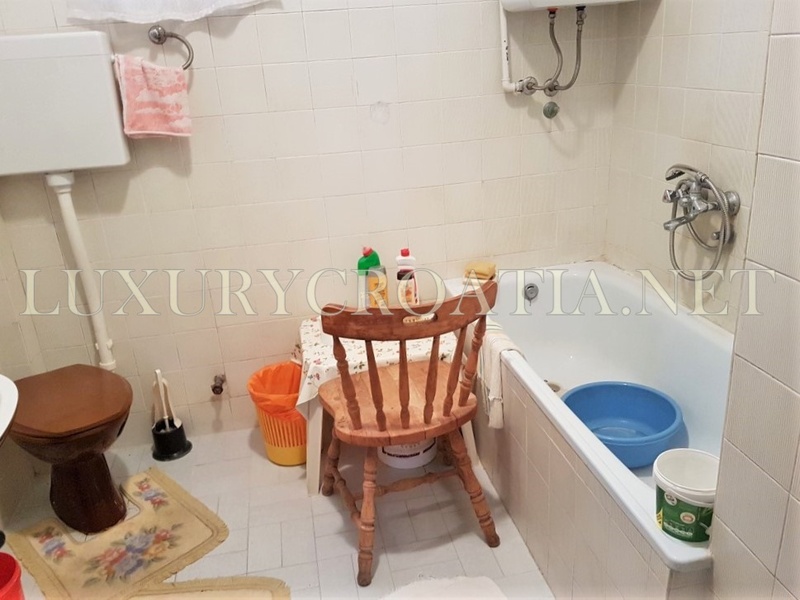 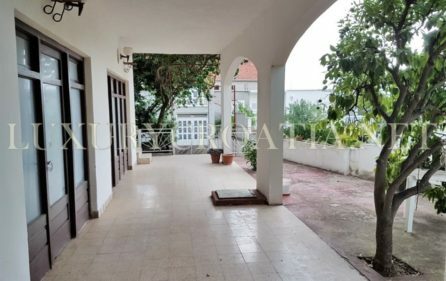 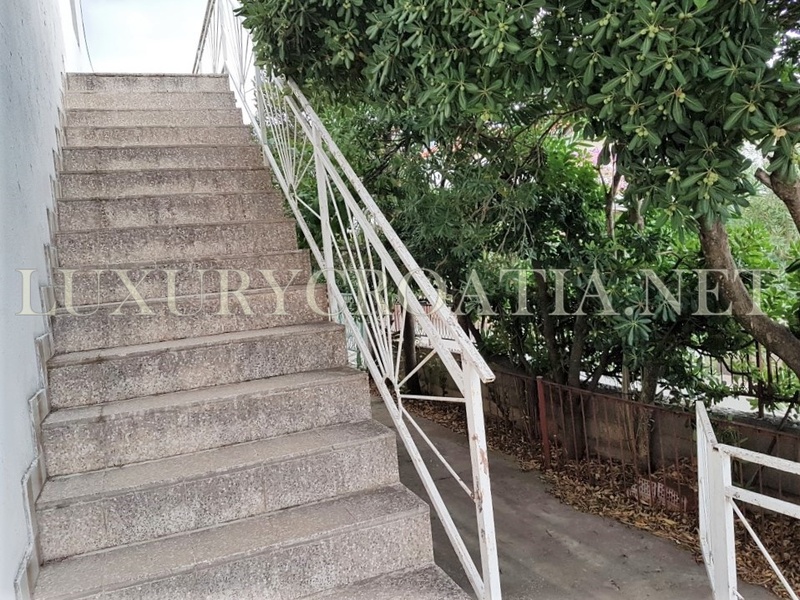 On the first floor that has outside stairs on the back yard, there is one large apartment with 5 bedrooms and two bathrooms. 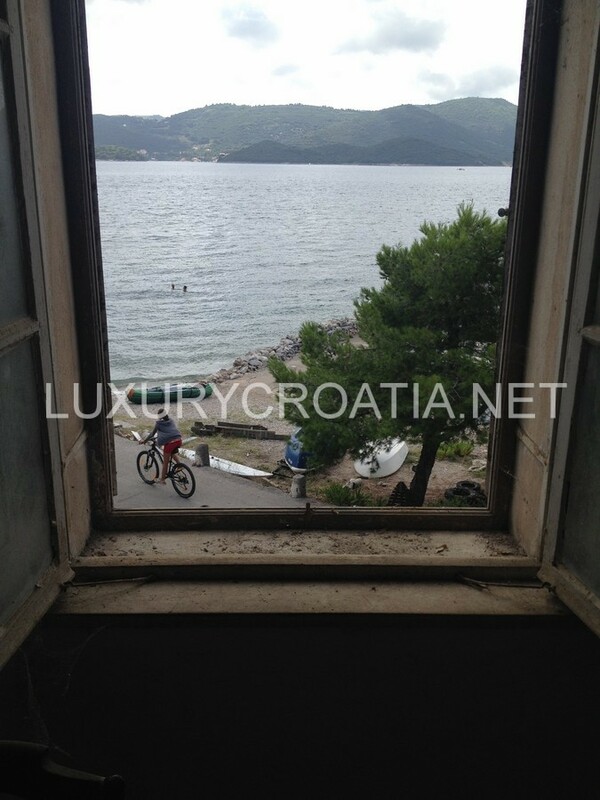 Southside bedrooms have balconies with sea view. 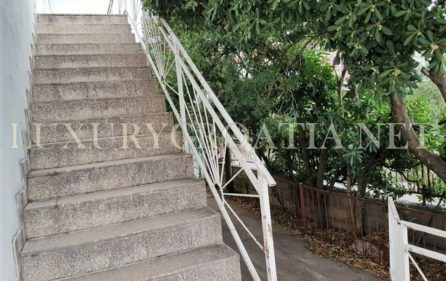 Attic floor has external stairs access, this floor has one bathroom and two rooms. 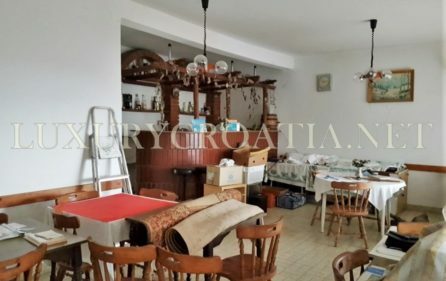 House can be easily reorganized into bed and breakfast rental house or divided into 4-5 apartments with breakfast area downstairs where the restaurant was. 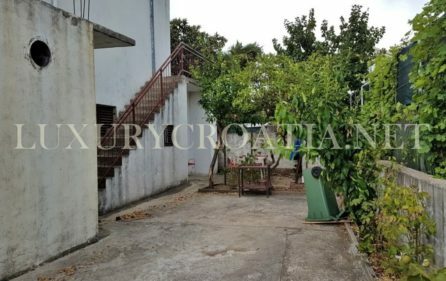 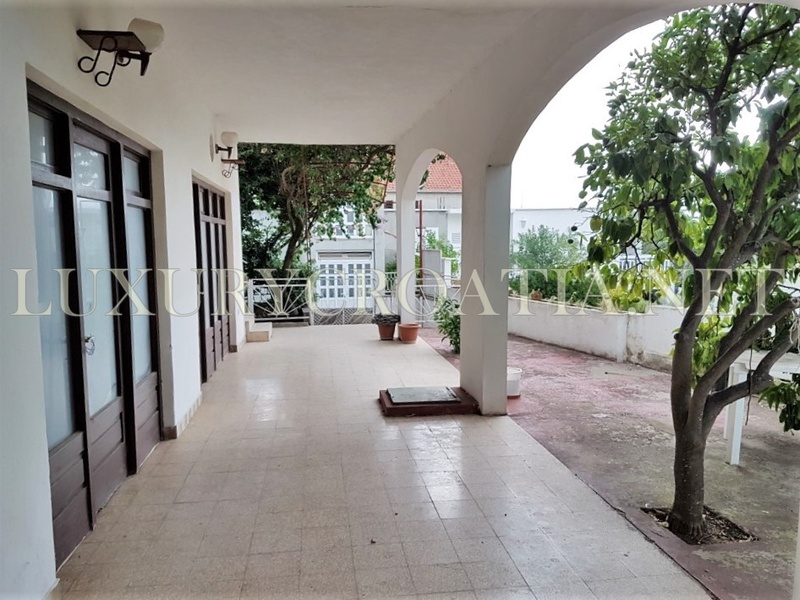 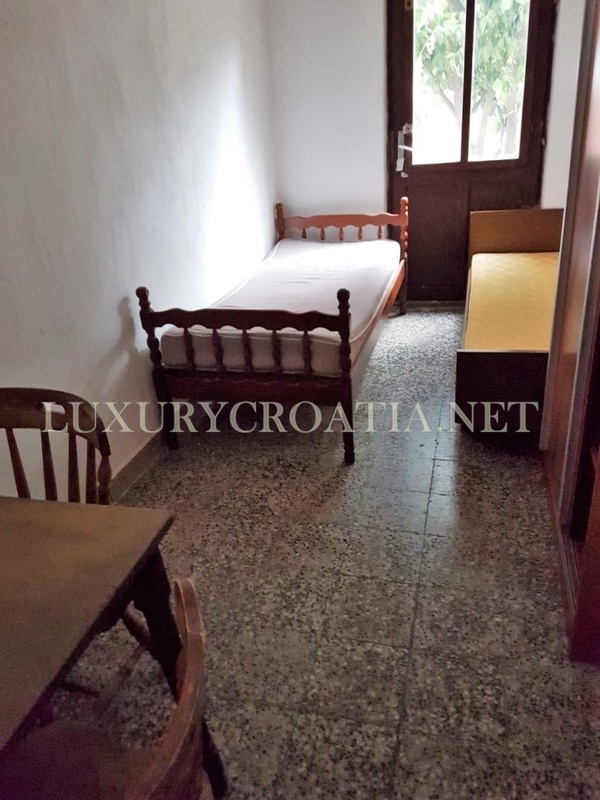 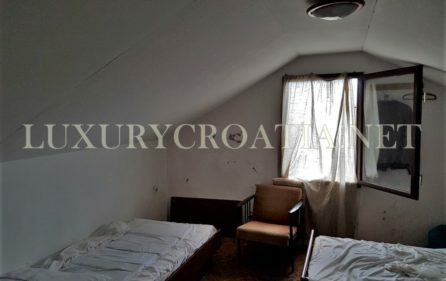 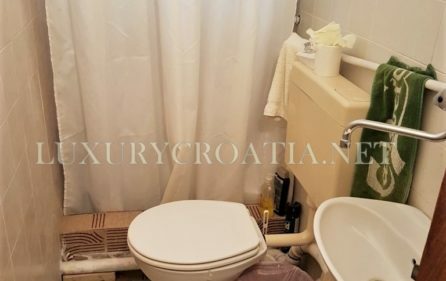 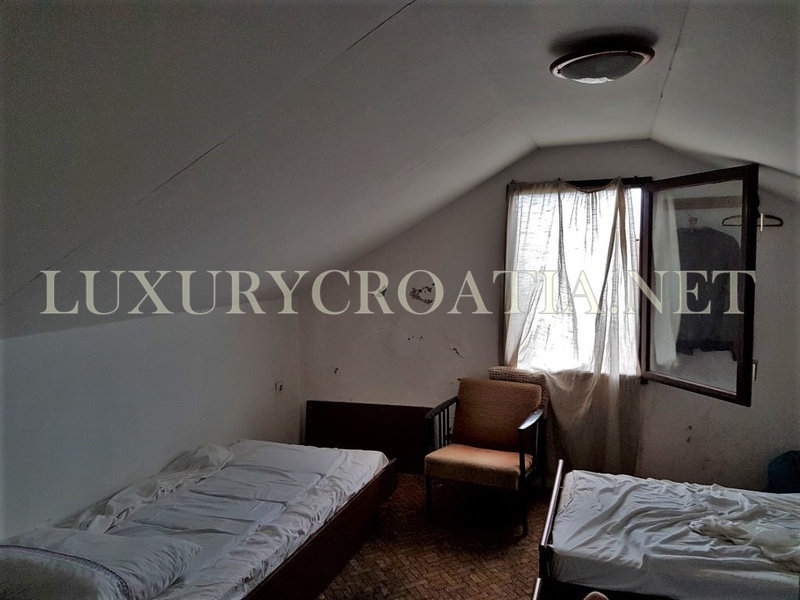 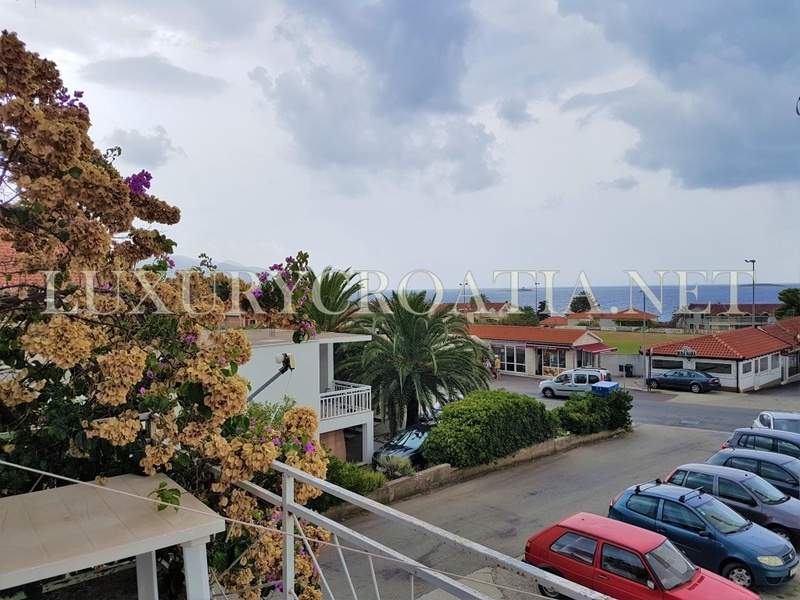 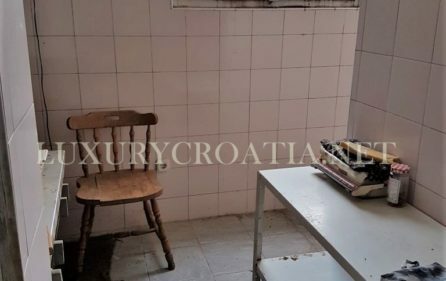 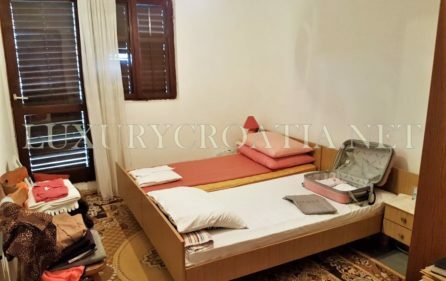 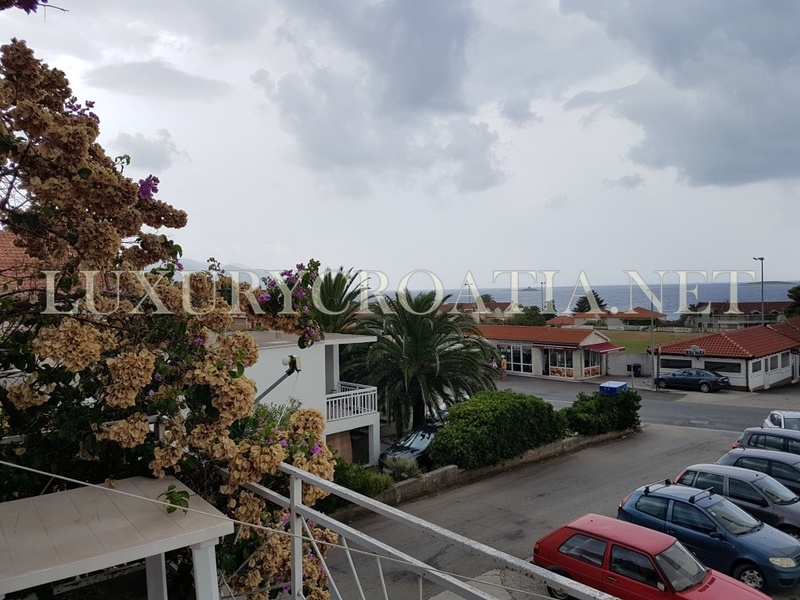 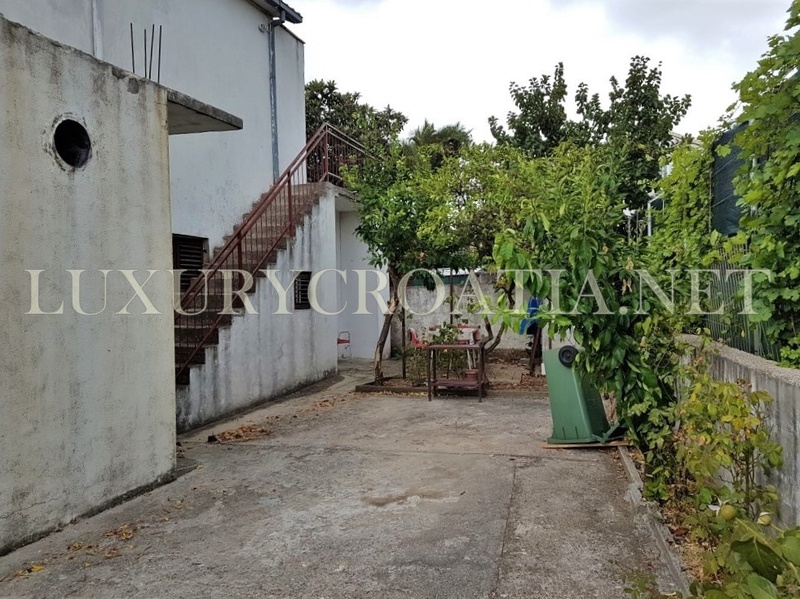 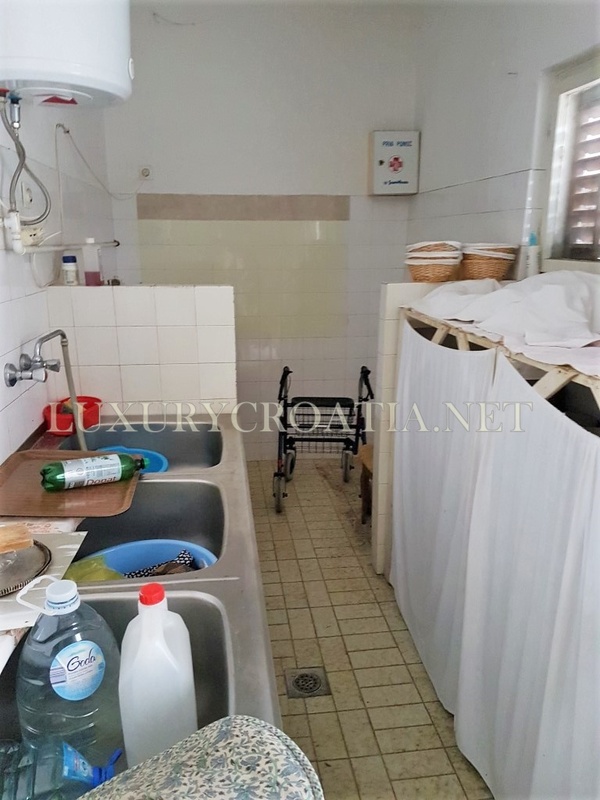 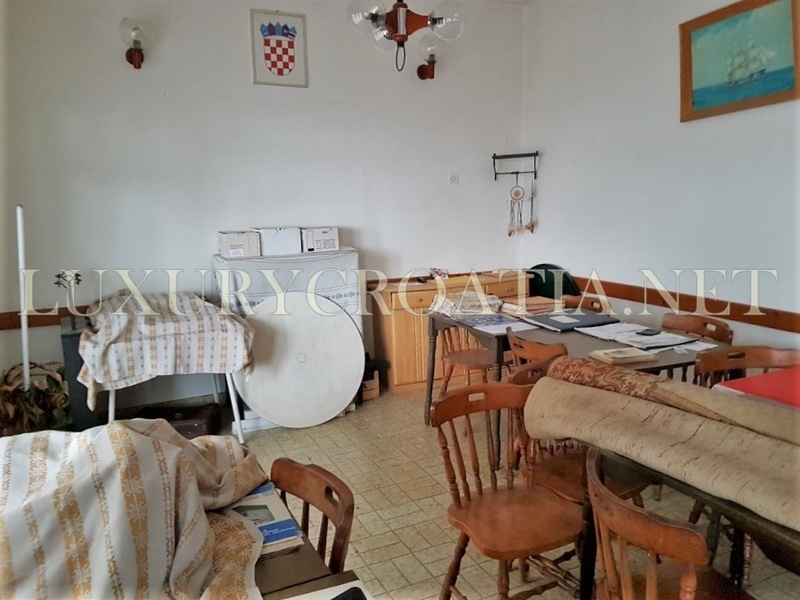 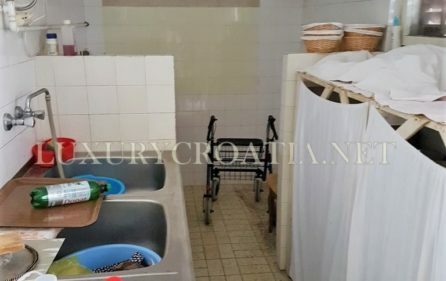 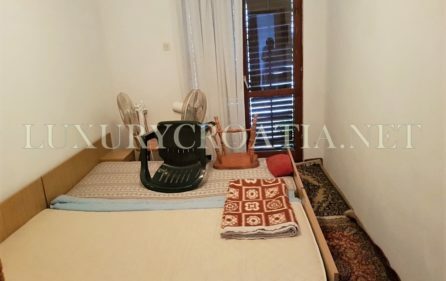 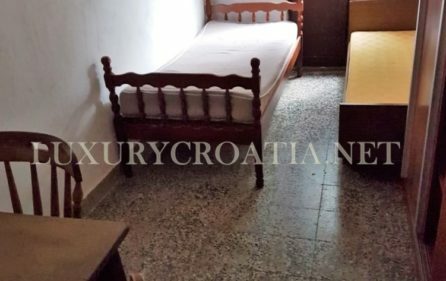 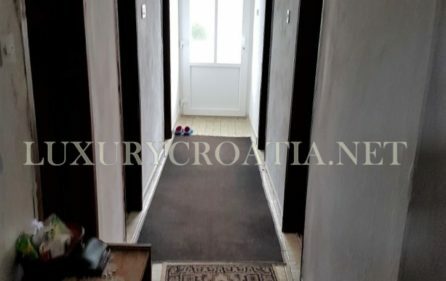 Orebic is a popular tourist destination, and also a nice place for all year living, so this house is also suitable as a retirement home.